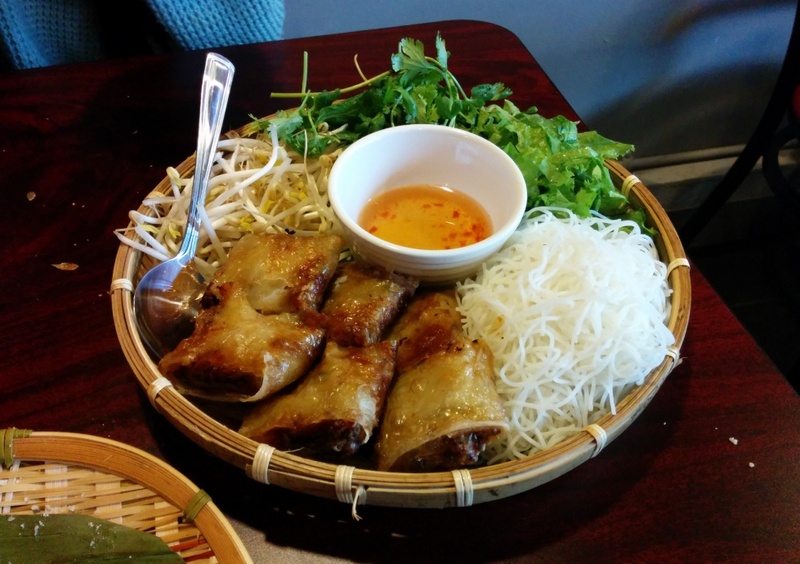 Next we also shared the Fried Crab Meat rolls served with vermicelli, lettuce, parsley and bean sprouts. It was a bit difficult to eat this since we mixed the noodles with the other ingredients but it was difficult since the other stuff was uncooked so the mixing did not go well. The crab meat rolls were really good though! I couldn’t tell there was crab meat but the texture was very loose inside. It just seemed very similar to a pork or beef spring roll. The rolls were also hot and crispy on the outside. There is also a jar of their home made garlic and chili sauce which also went well with this. The sauce has a subtle sweet vinegary taste followed by the garlic flavour. 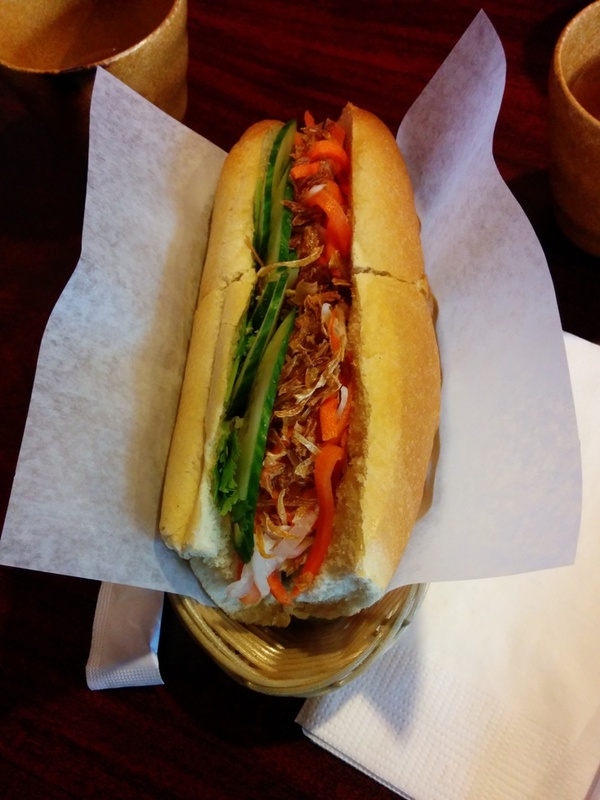 Finally, we also had a Traditional Banh Mi which I did not try but heard it was good! There seemed to be a good amount of filling inside. 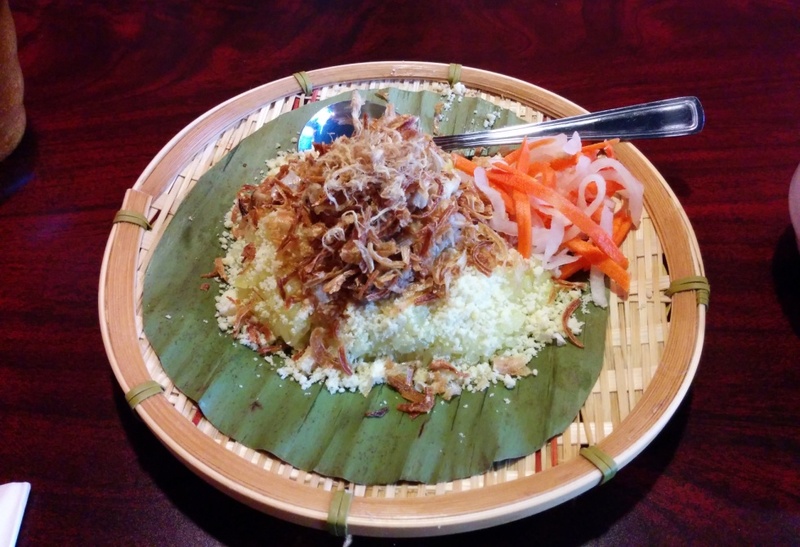 Next time we must try their pho! Apparently they don’t use MSG. They also only had 1 server for the whole restaurant so we had some trouble getting the bill but otherwise it was fairly efficient.